Simply the richest, chocolatiest layer cake ever. 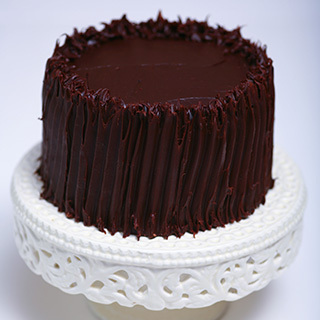 Layers of dense moist Belgian chocolate cake iced in thick chocolate fudge frosting. 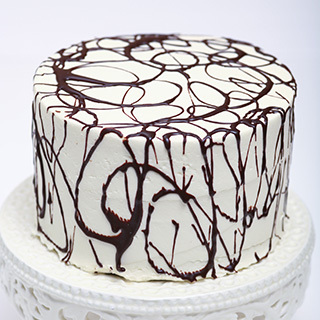 Decadent rich chocolate cake iced with vanilla butter cream and finished with chocolate drizzle. 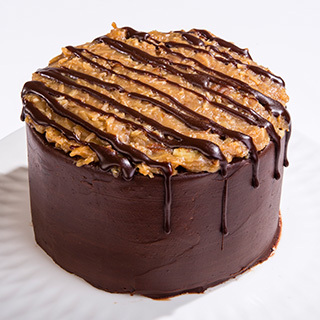 Rich caramel, pecan and coconut layer between our decadent chocolate cake, with chocolate icing. 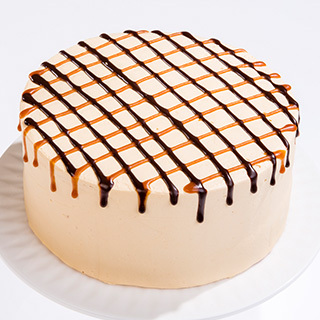 Layers of chocolate cake sandwiched with walnut meringue and fudge frosting, iced in a caramel butter cream, caramel and ganache. 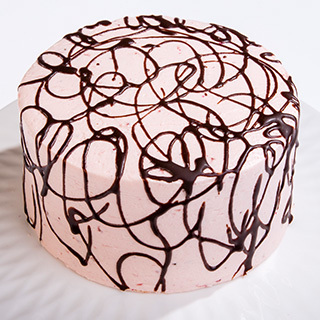 Two layer of our “Moms” chocolate cake smothered in real strawberry butter cream and drizzled in ganache. 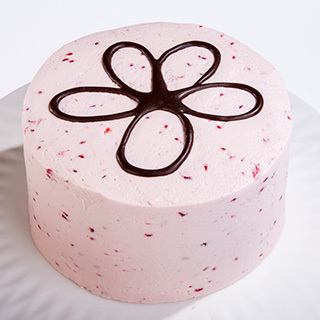 Two layers of our “Moms” chocolate cake smothered in real raspberry butter cream and drizzled in ganache. Vanilla cake sandwiched with lemon butter-cream icing, almond meringue and lemon curd. 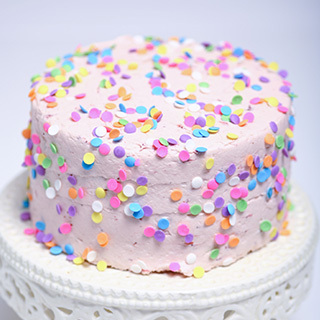 Frosted with lemon butter-cream icing. 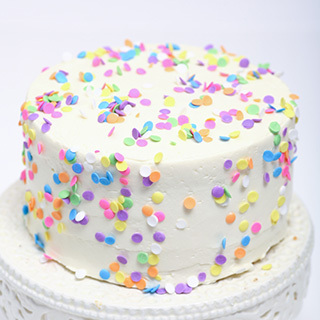 Rich vanilla cake made with cream cheese batter generously iced with vanilla butter cream and sprinkled with confetti. 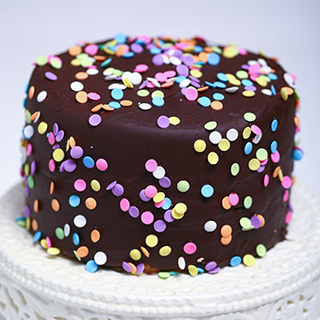 Buttery, luscious vanilla cake iced with Belgian Chocolate fudge frosting, sprinkled with confetti. 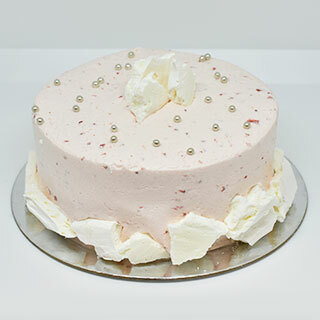 Vanilla cake frosted with strawberry butter cream with chunks of real strawberries. Moist dense carrot cake is made with fresh oranges and carrots with a hint of ginger. 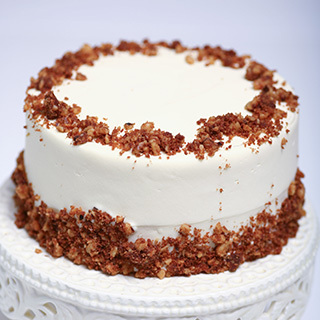 Frosted in a cream cheese icing and crowned with spiced walnuts. 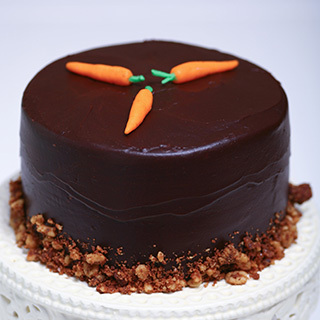 Moist dense carrot cake with fresh oranges and carrots with a hint of ginger with Belgian chocolate fudge icing. 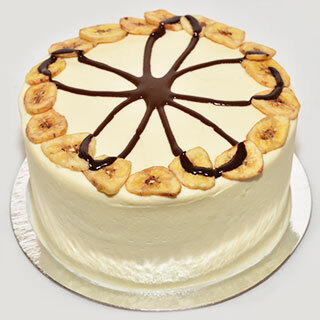 Loaded with ripe bananas and frosted with cream cheese icing, decorated with banana chips and chocolate ganache. 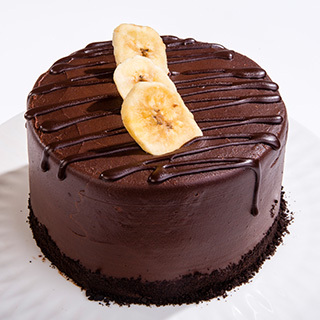 Rich banana cake frosted with Belgian chocolate fudge icing, decorated with Oreo crumbs and chocolate ganache. 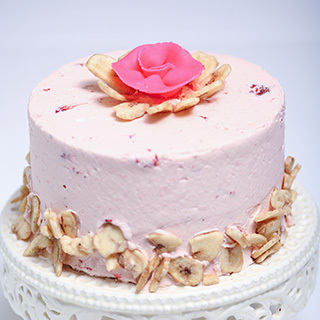 Pretty rich banana cake frosted with chunky strawberry butter cream icing and decorated with banana chips and a pink rose. 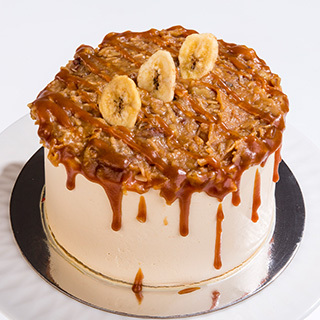 This rich banana cake steps it up – filled and topped with gooey caramel, toasted pecans and coconut, and frosted with caramel butter cream. 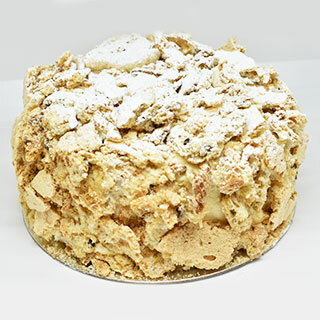 Light and spongy chiffon cake with a hint of orange frosted with caramel butter cream with crunchy Skor bits in the filling, finished with caramel drizzle and meringue chunks. 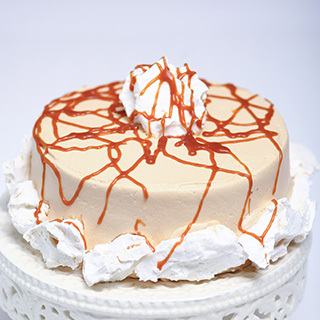 Velvety light chiffon cake with a hint of orange, layered with lemon curd and chunky strawberry butter cream icing, garnished with meringue. 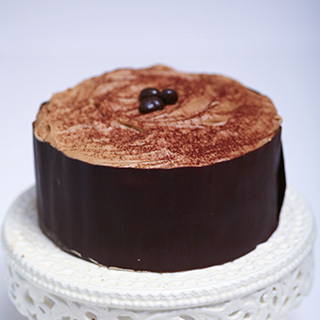 Velvety light chiffon cake loaded up with cappuccino mousse and wrapped with a band of Belgian chocolate. 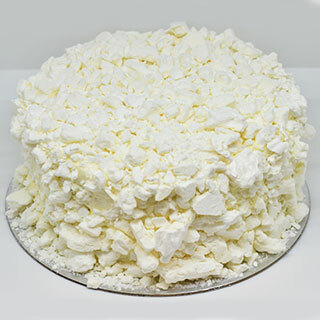 Layers of light velvety chiffon, lemon curd and smooth lemon butter cream frosting, covered with floes of meringue. 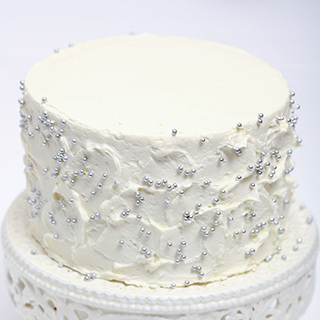 4 layers of alternating vanilla and dark chocolate cake, filled and frosted with vanilla butter cream and decorated with silver dragees. 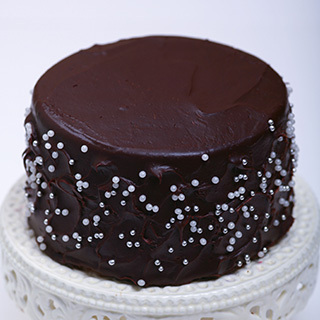 4 layers of alternating vanilla and dark chocolate cake, filled and frosted with Belgian chocolate fudge frosting and decorated with silver dragees. We believe this is the best one ever! 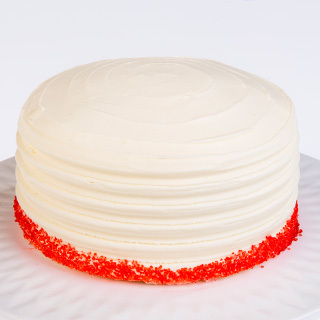 Light milk chocolate cake with a hint of red, frosted with cream cheese icing. 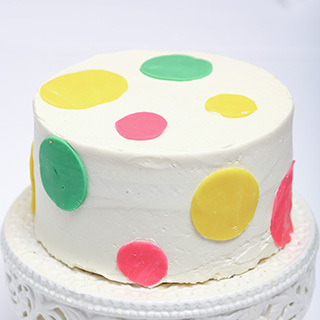 Marbled swirls of vanilla and dark chocolate cake with vanilla butter cream and colourful polka dots.